Engulfed by natural scenic beauty, Alibag presents the perfect getawayfrom the hustle and bustle of Mumbai. Situated at a distance of 95 km from Mumbai, it is just a comfortable 2–hour drive from the city. You have great beaches that are perfectly suited for your pets. Alibag allows you to be close to Nature. Hence, it is a favourite holiday resort for you to take your pets along. Having your pets with you entails that you have spacious cottages to stay. They deserve their privacy. One of the best locations at Alibag is Sidz Cottage. You have spacious gardens where your pets can frolic around freely. This holiday resort has good pet-friendly facilities. Pet lovers can take advantage of these facilities and ensure their pets have a great time. The Mumbai-Goa belt is full of scenic locations and beautiful beaches. Raigad district is historically renowned for its sea-forts. You can experience nature at its best in this particular belt. Kolad-Kundalika is one such beautiful and serene locality. It might just take you two and quarter hours of comfortable driving to reach this place from Mumbai. The vast open spaces available at Kundalika Cottages allow your pets to have a great time. The river Kundalika flowing through this area presents some beautiful river rafting experiences. This scenic location is the perfect weekend getaway for people wishing to have a great time away from the hectic life of Mumbai city. Pets would love the greenery and be at peace. The geography of Mumbai is such that people living in the western suburbs love to flock the beaches on the West Coast on the Mumbai Gujarat route. At the same time, those living in the eastern suburbs prefer to visit the beaches on the Mumbai Goa route. We have seen one such place, Kolad-Kundalika. Let us look at one of the favourite beaches on the Western front, Kelwa Beach. Situated 95 km from Mumbai city, the virgin beaches of Kelwa are a favourite with people looking for a quick sojourn for the weekend. A two-hour drive should not be taxing for your pets also. They too would love to have a blast at these beaches. They would love to be close to Nature. “Ya Niwant” is a popular resort that offers homely treatment to you and your pets. This is one of the best pet resorts near Mumbai. Karjat should literally qualify as a suburb of Mumbai because thousands of people commute from Karjat and the nearby villages to Mumbai every day in search of their livelihood. But, Karjat has some beautiful weekend getaways where you can have a terrific time with your pets. Karjat offers you a lot of greenery, something that you miss in the concrete jungles of Mumbai. This provides your pet with an opportunity to overhaul its lungs. 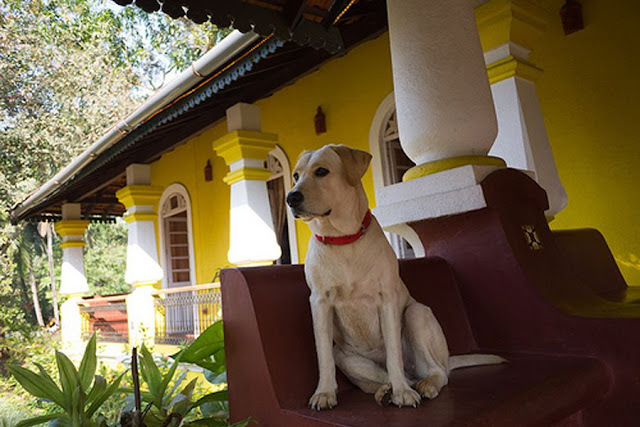 You have some beautiful pet-friendly resorts in Karjat like 1873 Equestrian Lifestyle Resort and the Jay Malhar Farm House. Each of these resorts has outdoor swimming pools that your pet can enjoy frolicking. You can also try out Lonavla, a popular hill station in this part of the country. The proximity to Navi Mumbai makes these places as some of the favourite weekend holiday resorts near Mumbai. Igatpuri is a quiet weekend getaway situated on the northern side of the Western Ghats. Just 120 km from Mumbai, it will not take more than two and half hours to reach Igatpuri. Situated in the lap of Nature, you have many attractive locations in and around Igatpuri. A popular venue for shooting films, Igatpuri is a great place to take your pets along. They would love to mingle with Mother Nature. This would give them the much-needed respite from the tough city life in Mumbai. You would also love to take them for a nice walk in the countryside. You have some good resorts like the JenJon Vaitarna Resort and the JenJon Igatpuri Sky-Deck Machaan where your pets can enjoy a comfortable stay. Now, they require this pampering. It can help cheer up their spirits. We have seen five beautiful resorts near Mumbai where you can have a great time with your pets. You get the opportunity to move away from the madding crowd in Mumbai and enjoy your weekend. It is really a great feeling to take your pets along with you.